It’s a great feeling when you are home for the day after a hideous 8 hours at work with a nasty commute tagged on the end of it. 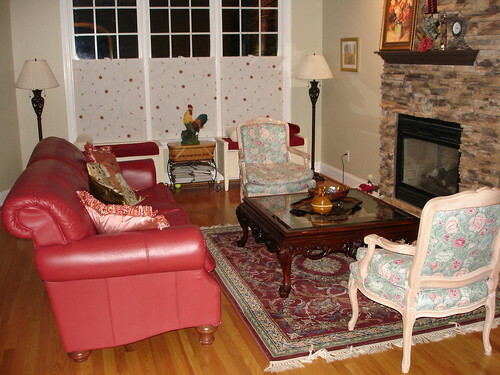 Your close the door and feel grateful for your lovely home and even lovelier family! But are you certain that the safety of your home will not be compromised? Due to the current economic recession, there are more and more desperate individuals who would like nothing better than getting their mitts on your possessions. The sad fact is that your family are also at risk as long as these people have a way of entering your home. We are looking at a number of products on the market that will give you a little more security in your home. The good news is that most thieves are lazy incompetent devils that will always shy away from a little extra effort. Please read this article for some information about a few rather clever little helpers. We get the ball rolling with an outstanding application form the geniuses at Lockitron. It is not available for a couple of months but there are already 14,704 people who have reserved this app! The idea behind this product is very simple indeed, and you install the physical locking device over your existing deadlock/deadbolt system. The device will then let you know, via your smartphone, whether or not your door is locked or open. You can simply lock or open the door using your application. This will work from any location in the world. You can give your friends and family access to the door and you will be alerted when they use the appropriate entry method. 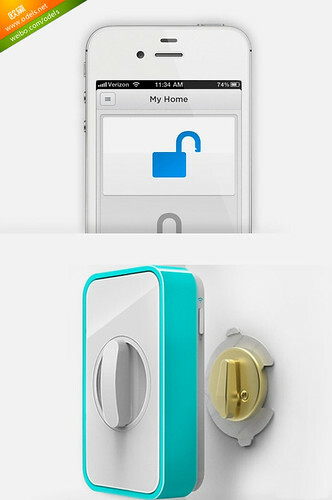 This will work with any smartphone and even older phones will be able to open and shut doors protected by Lockitron! There is even a Bluetooth feature that will open the door automatically from your iPhone as long as the app is installed correctly. In a world of doubt and insecurity, thanks heavens for this brilliant and innovative device! How many of us have driven or walked away from our homes and suddenly wondered whether or not we have locked the front door? Rush back and see the darn thing is still open, after a quick check inside we lock the door and go on our merry way. And then the doubt sets in, did we check every room? And maybe someone is hiding in our home? Well, those days will become unpleasant memories thanks to this absolutely free app from those clever folk down at Android. All it takes is a peek at your Android device and you will soon be in the picture, it is as simple as that. You can even add your vehicle’s entry system to the application and it will take care of that too! If your door is forced open whilst you are away, you will get an instant notification to alert you of an intruder. We think that both of these apps are pretty much on the money, even though one is free! If you like the sound of either, well just let your touch screen do the hard work whilst you sit back and look forward to a more secure family home! Today’s featured contributor, Mark Victor, is a security consultant at Protector Locksmith. He is a frequent blogger and likes to update his readers about the latest door lock and other security systems available in the market.